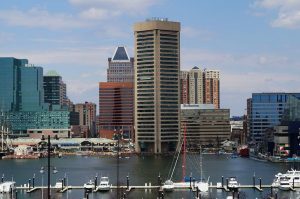 The Governor of Maryland recently introduced a host of forthcoming law enforcement initiatives specifically aimed at reducing violent crime in Baltimore City. 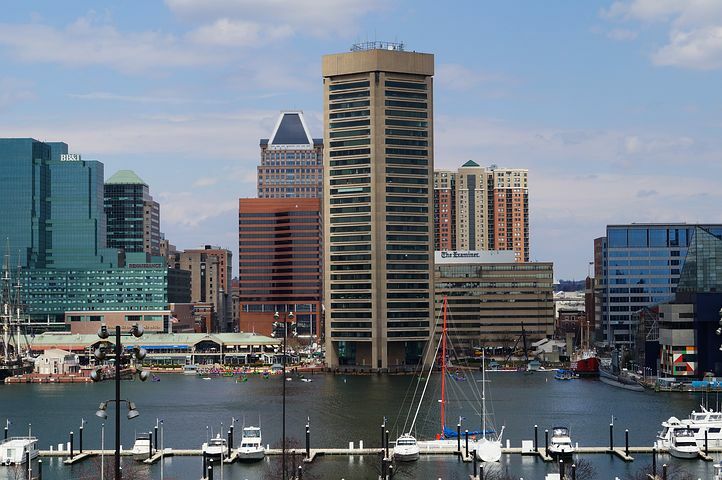 Baltimore’s violent crime rate has been trending in the wrong direction for years, and is a constant source of concern for residents, visitors and those who conduct regular business in the city. Putting all the embarrassing national news headlines aside, the bottom line is that people just don’t feel safe in Baltimore. While the Governor has shown discretion by not outwardly blaming the city’s leadership, it’s clear from his actions that he has no faith the local government can do what it takes to reverse this disturbing trend. The city’s leadership does not even appear to be directly involved with the creation or implementation of these new initiatives, which include the formation of violent crime joint operations center downtown. The joint operations center will serve as home base for upwards of 200 new law enforcement officers from sixteen agencies and seven law enforcement task forces such as the FBI, DEA, ATF and the U.S. Marshals. The Baltimore Police and the State’s Attoney’s Office will also have a presence in the center, in addition to a special operations unit of the Maryland State Police. With all these new law enforcement officers pounding the pavement there will certainly be hundreds of new cases to prosecute, but if you think the Governor simply planned to hand all these cases over to the local prosecutor then think again. The Governor wants many of these cases to be handled in federal court, and is doing so by expanding the reach of Project Exile, a program where city gun crime offenders are prosecuted in federally. The feds are not footing the entire bill for the increased workload, as the Governor actually pledged state money for the sole purpose of hiring more federal prosecutors to prosecute violent crime in the city. Federal sentencing guidelines are harsher with respect to violent offenses and crimes involving firearms, and the U.S. Attorney’s Office is notorious for high conviction rates. A defendant is far more likely to serve significant prison time in the federal system due to mandatory sentences and no parole. The governor also announced greater funding for victim and witness relocation programs, which will increase the likelihood that state and federal prosecutors will have their witnesses ready and available when it comes time for trial. Violent crime cases are routinely dismissed due to witness unavailability, and this has become a major issue in Baltimore City for state and federal prosecutors alike. Another announcement from last week was the introduction of the Repeat Firearms Offenders Act of 2019, which will double the minimum mandatory prison sentence from 5 years to 10 for those convicted of felon in possession of a firearm. This law was modified a few years ago to make the mandatory sentence discretionary if the disqualifying crime and any punishment (including probation) ended more than 5 years prior to the new incident date. The effectiveness of mandatory minimum sentences is arguable, but politicians love them so they’re here to stay. Finally, the Governor announced the Judicial Transparency Act of 2019, which will set out to publish the violent crime sentences of every judge across the state. This is not a topic we want to simply graze over, so look out for a follow-up article on this potential law in the next couple of months. For questions contact criminal defense lawyer Benjamin Herbst anytime at 410-207-2598. Benjamin specializes in defending clients facing gun charges in state and federal court and offers free consultations and flexible payment plans for representation. Hogan launches initiatives to address violent crime in Baltimore, wbaltv.com.